If you celebrate Halloween, then you know of the potential abyss of treats that lurk ahead. Here are a few ideas that are sure to make the holiday more enjoyable. Granola Bars. 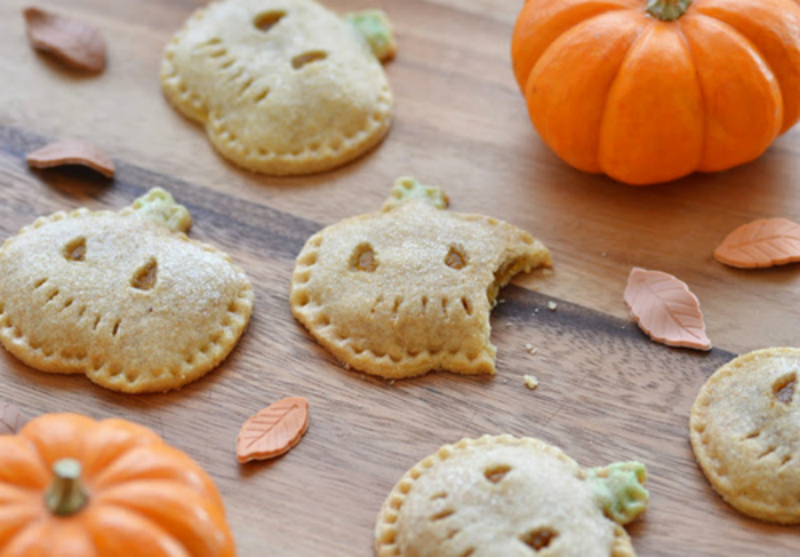 Instead of candy, serve your trick or treaters healthier versions of their favorite treats that do not contain soy protein isolate, high fructose corn syrup, or artificial colors and sweeteners. Lara Bars and 18 Rabbits are good alternatives. Fruit snacks/fruit leather. Instead of candy, serve your guests wholesome fruit snacks. Instead of traditional fruit roll-ups, many organic companies have fruit leathers. Common brands tend to use very little fruit juice or high fructose corn syrup to flavor their snacks, so look for the better brands like Annie’s Organics, Yummy Earth, Trader Joes, or Simply Balanced. Candy. For some people, there just is no substitute for candy. If you must purchase candy, go for the better brands like Surf Sweets, Yummy Earth, GoNaturally and Unreal, for example. Nuts. Give small packages of heart healthy nuts. Trader Joes offers small packages of dry roasted almonds or walnuts, but other stores have their versions as well. Be careful not to get salted or flavored nuts, as they usually have tons of preservatives, salt and artificial flavors. Fruit. Not that you want your house or car toilet papered, but some people appreciate this delicious snack. Go for fruits that are in season, like tangerines, pomegranates, apples and others. If the item is on the Dirty Dozen list, please make sure to purchase organic. If it’s on the Clean 15, it is okay to purchase the conventional version. Crackers. Crackers are a popular alternative to chips, and are more appealing to those of us who prefer savory items. Just make sure that the items are made from non-GMO corn, and have as few ingredients as possible. Late July, Edward & Sons, Mary’s Gone, Plentils, Crunchmaster & Foods Alive are great alternatives. Have a pumpkin carving party! Put all the focus on creating pumpkin art, and creating memories. After scooping the seeds out of the pumpkin, rinse and pat dry. Toss the seeds in a little bit of coconut oil, and divide them into a few different batches. Try different seasonings and spices like cayenne pepper on one batch, cinnamon on another, or fresh crushed garlic and rosemary on another. Line a baking sheet with foil, and spread the seeds in a single layer. Roast the seeds at 325F for 25 minutes, stir, then roast for another 15min. What a great way to get Selenium, Zinc and Iron! Give toothbrushes! Inevitably, people will eat candy or sweets on Halloween. Play a huge part, and promote a healthy mouth! A clean mouth can prevent gum disease, heart disease, and other issues, so this is a great idea! Your local dollar store has toothbrushes and floss for under a dollar! Have a costume party! Have guests over for costumes, games, pictures and fun! If you want to have some healthy dishes available to nourish your guests, make an organic green salad with plenty of vegetables or cut vegetables into Halloween shapes and serve them along hummus, lentil chips, black bean soup, and a refreshing beverage – a green smoothie made with organic kale or spinach, frozen organic strawberries, frozen organic blueberries, a cup of water and a tablespoon of chia seeds! Buy It Back! Tradition sometimes wins over, and inevitably, children will go trick or treating. Upon their return, have them dump out all of their candy and pick 5 pieces. After they pick the pieces that they really want, offer to buy the rest of the candy back. It’s just not worth the sugar that can wreak havoc on their teeth, or lower their immune system during this time of year where colds and flus are prevalent. Present them with a themed piggy bank or coin bank that you can use each year. Offer 10 cents for each piece the child gives up, and watch their faces light up as their savings increase!